KHARTOUM – At least 20 people have been killed in Sudan's war-torn Darfur region after a hill collapsed onto their village following heavy rain, a rebel group said Wednesday. Several people are still feared to be buried after rocks crashed down onto their houses in the mountainous Jebel Marra region of Darfur on September 7, the group said. The region is under the control of the rebel Sudan Liberation Army-Abdul Wahid (SLA-AW) group, and getting independent information from that remote area is difficult. "On September 7 a part of a hill collapsed on a village in eastern Jebel Marra killing at least 20 people," said Mohamed El-Naier, spokesman of SLA-AW. "Dozens more are still buried under the debris. The entire village has been destroyed," he said, adding that those who survived were now living in the open without any shelter. The death toll was confirmed by the shura council of the Fur tribe, the biggest in Darfur. "We urge the United Nations, NGOs and the government to help us find those still missing and to provide shelter to people living in the open," said Amin Mahmud Osman, general secretary of the council, in a statement. The region of Jebel Marra, a vast terrain of rocky mountains and jungles, has witnessed fresh fighting in recent months between the SLA-AW and government forces, even as overall violence remained low across Darfur. Khartoum restricts international media access to Darfur, an area about the size of France, so it is not possible to independently verify the details of fighting or disasters there. 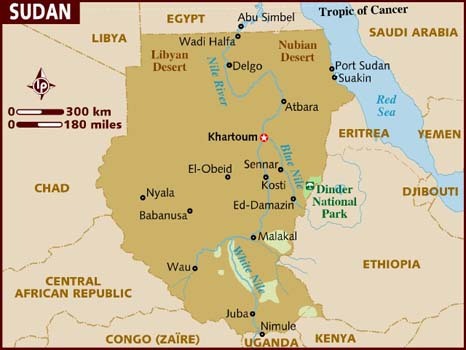 An insurgency began in Darfur in 2003, as ethnic rebels rose up against Sudan's government, accusing it of marginalisation. Khartoum responded by using militias to crack down on rebels and since then, insurgent groups have fragmented, with fighting punctuated by periods of relative calm.